Life in Arizona is full of possibilities. 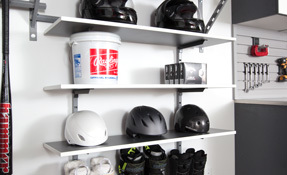 That's why we offer garage shelving in Flagstaff and garage shelving in Prescott that will provide the storage solutions you need when you need it. 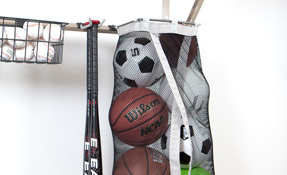 If your interests or activities change from year to year or even season to season, you can store it all on our shelves. 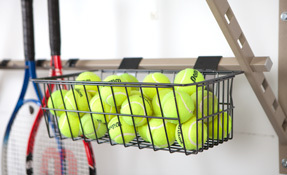 The various hooks and racks underneath our shelving allows for maximum storage abilities. We offer a lifetime warranty because we are so confident our product won't let you down. As your life changes, so do your storage needs. 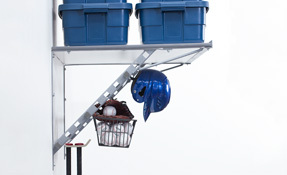 Our garage shelving in Flagstaff can adjust and expand to your growing storage. 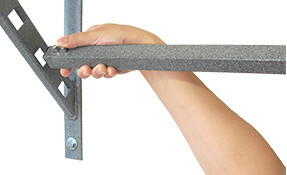 Our professionals will work with you every step of the way to set up your new shelves. We will even help you sort and organize your belongings after installation. 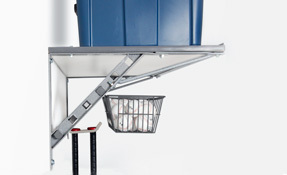 Each of our shelves has the ability to hold up to 1000 lbs of storage. 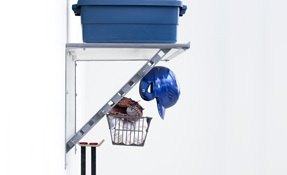 Our shelves are able to stand up to the challenges of life and long-term storage. Custom Built: Each of our professionals are trained to make sure that you get a shelving system that will meet all of your needs. They will work with you one-on-one to make sure that your new system accommodates all your desires. 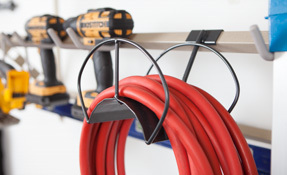 Steel Constructed: Our shelves are built out of powder-coated steel to ensure durability and quality. 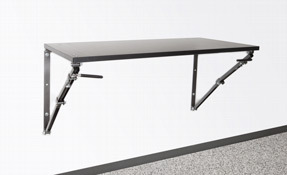 Affordable: All of our products are built out of quality materials, but at a price that won't break the bank. 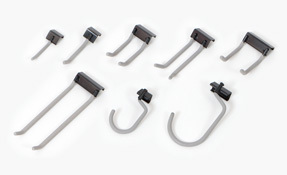 Accessories: Our wide variety of hooks and accessories allow you to store anything you need in a safe and easily accessible place. 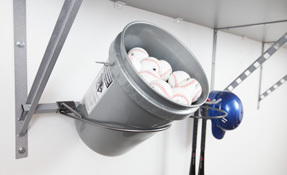 We offer the garage shelving Flagstaff residents can rely on. Contact us today for a free estimate! 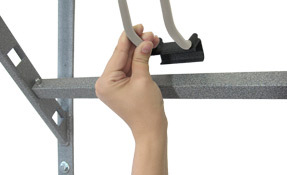 Unused Space: The Monkey Bar Shelving system lets you take advantage of unused wall space so you can maximize your garage square footage. We also professionally install all of our product, so you don't have to worry. 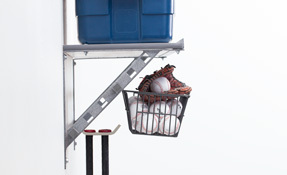 Drop-down Shelving: Drop down shelves can be easily adjusted to fit your needs. Simply remove the shelf and adjust the height accordingly to make sure you get everything you need on the wall and off of the floor. Inverted Garage Shelving: Inverted shelves let you store items in uncommon places to increase your available floor space. 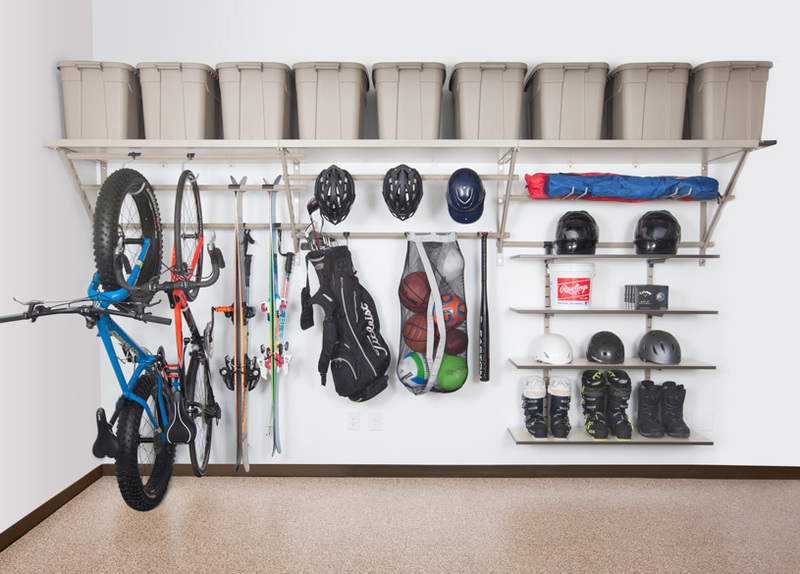 Hooks: Instantly take advantage of the space underneath your shelves with various hooks to store bikes, sports equipment and more. Contact Us to get the same products used in many renovations on TV shows like Extreme Makeover: Home Edition and HGTV’s Property Brothers. When you are ready to take your garage to the next level give us a call to set up your free estimate. We will work with you every step of the way to transform your space and give you the garage shelving Flagstaff homeowners love.